Happy 20th Anniversary to The Whaleman Foundation! 22 Years Dedicated to Preserving and Protecting Dolphins, Whales and Our Oceans!! 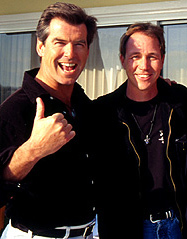 We have come a long way since our founding 22 years ago which led to our first major victory when our film “Gray Magic: The Plight of San Ignacio Lagoon”, featuring Pierce and Keely Brosnan, was presented to the December 1998 meeting of the United Nations Education, Scientific, and Cultural Organization (UNESCO). This film was key in stopping Mitsubishi Corporation from building the world’s largest salt plant at Mexico’s San Ignacio Lagoon – a United Nations World Heritage Site and the last pristine mating and birthing grounds for the California gray whale. Our next film “Deadly Sounds in the Silent World,” also featuring Pierce and Keely, was winner of “Best Short Film” at the 2003 Jackson Hole Wildlife Film Festival and was presented to Congress playing a pivotal role in banning the worldwide deployment of a lethal sonar system called LFA Sonar by the US Navy. In October 2007, Whaleman created an international media frenzy when our spokespersons, Hayden Panettiere and Isabel Lucas, took part in a peaceful protest in Taiji, Japan where they, along with 4 others, risked arrest and put their lives on the line by paddling out on surfboards in blood filled waters to try protect a pod of captured pilot whales from being slaughtered which exposed this barbaric and needless hunt to the world. Whaleman Founder, Jeff Pantukhoff along with others, filmed the events which went viral and was also later featured in the 2010 Oscar winning documentary “The Cove. In 2011, Jeff and Hayden made an impactful return trip to Japan, as part of our “Save the Whales Again!” campaign. Be sure to check out her account and photographs of the emotional trip in her “Dolphin Diary”. Since then, Jeff has returned to Japan on average 3 times per year as we continue our work to protect and preserve dolphins, whales, and our oceans. In June, 2014, Jeff attended the “Our Ocean 2014″ Conference hosted by Secretary Kerry and the US State Department, where Leonardo DiCaprio made international news by pledging $7 million for ocean conservation. Other exciting news from that conference includes President Obama creating the world’s largest marine protected area and several other countries making significant pledges to increasing the size of marine protection zones. You might be wondering what you can do to help with ocean conservation. Join with us in our continuing programs to help protects dolphins, whales, and porpoises! We’re currently trying to raise $220,000 to fund these efforts. You can help by making a donation of any amount. You can also shop to donate – check out our collection of t-shirts, hats, bumper stickers, eco-friendly water bottles, reusable shopping bags and more in our online shop. We even have exclusive autographed items from Hayden Panettiere! You can also visit our shop to adopt a Taiji dolphin, and help fund our “Save the Taiji Dolphins” program. Would you like to know what your donation will support? Our four main campaigns are “Save the Whales Again!” to help end whaling, “Save the Taiji Dolphins” to help stop the notorious yearly dolphin hunts, “Stop Deadly Sounds” to help reduce deadly high-intensity underwater noise pollution, and “Save the Orcas” to help protect these magnificent and highly endangered animals in the Pacific Northwest. Whaleman is attending this year’s International Whaling Commission (IWC) meeting in Slovenia in our continuing efforts to help stop whaling by Japan, Norway, and Iceland. We’re also producing public service announcements and films to bring attention to these issues. Also, in addition to our legislative and public awareness activities, we fund field research projects focused on ocean conservation. 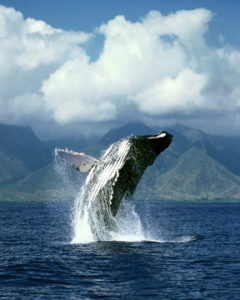 For more news about our specific aims, please look at our About Whaleman information. And don’t miss our “Take Action Now” info for more options on how you can help – we make it easy for you to reach out to President Obama and to your representatives and senators, as well as the Japanese Prime Minister. We also have some simple suggestions for easy everyday actions you can take that will make an impact in the long run. We do need your continued support so please consider donating today! Be sure to bookmark and check this page frequently to see how we’re doing in reaching this goal. We hope you’ll be a part of our anniversary celebration and help us reach our $200,000 goal helping us to celebrate the 20th Year of The Whaleman Foundation! Happy 20th Anniversary!!! Me and my friend have started a whale project where were hoping to raise awareness for whales. We are making a website. When they want to donate it directs them to your home page and hopefully they donate to the cause. I like the layout of you webpage. Congratulations for your 20 years! I am so happy to have met Jeff in Chile, thank you for all your work. Jeff; you have made your dream come true! With your life-long passion and your team at the Whaleman Foundation, you have inspired and educated many people over the years and from around the world and have helped save a vast amount of critical marine life! Keep up the great work and congratulations on recently being named as a “Blue Friend of the Year” finalist! This honor recognizes a person who has made significant contributions in Marine Conservation and is hosted by the Loggerhead Marine Center in October at their Annual Awards Luncheon in South FL!